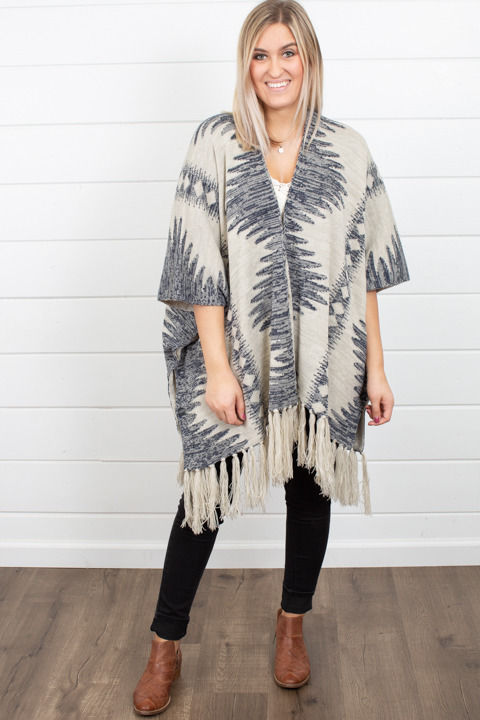 The Ikat Poncho by Mystree is a super cozy piece to drape over a wintery dress or long sleeve and leggings. 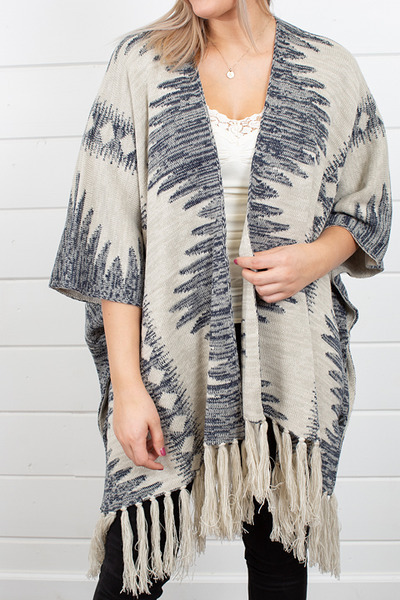 This taupe piece is decked out in navy and light grey ikat pattern throughout. 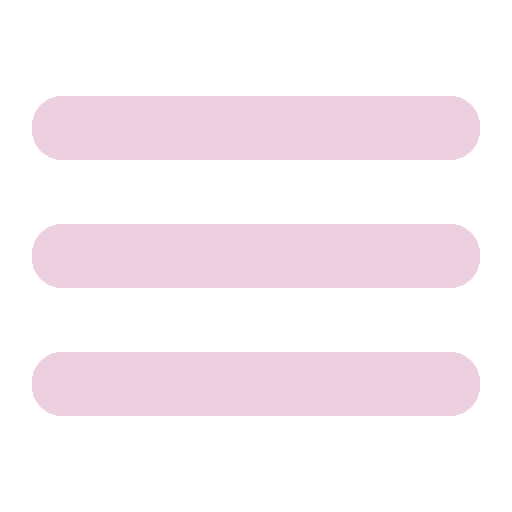 Three marbled charcoal buttons hold the bottom together at each side making a simple sleeve. 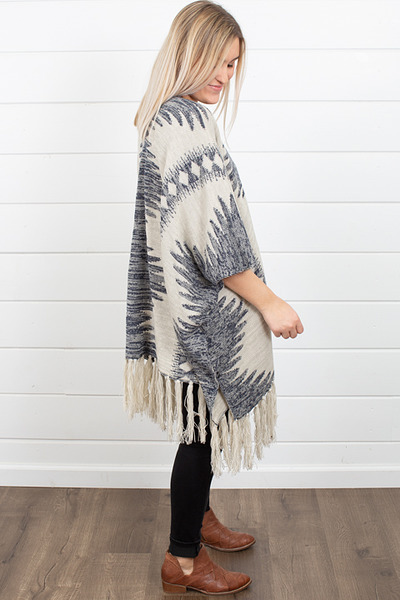 The bottom hemline is trimmed out in ivory tassels that add movement to this knit kimono. 100% acrylic. Hand wash in cold water and hang to dry. Dry clean for best results. One size fits all.